Urban Observatory: Re-introducing Observation and Measurement to Reveal the Invisible City. Johannesburg, The City of Gold, can be defined by the interaction between what is below, what is on its surface, and what is above. Johannesburg came into being through a multiplicity of tangible and intangible elements and narratives. In this dissertation the complex layers of the city as an archipelago of fragments, each inscribed with a specific characteristic, are investigated on an urban level. 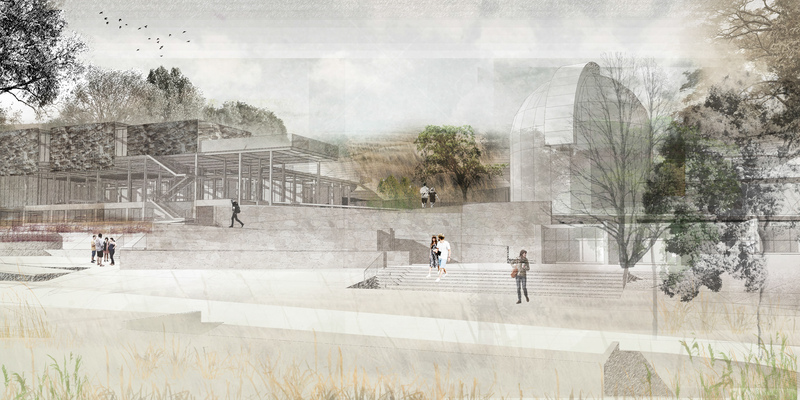 Located on the highest natural elevation in the city, the chosen site, namely the Johannesburg Observatory is currently unused, as the starry night sky has long been obscured by the city’s artificial radiance and pollution. The site is investigated with the aim of re-interpreting its inherent character, and a strategic intervention is proposed that will not only pay homage to its historic value, but also contribute to the urban environment. The narrative of the Johannesburg Observatory reveals spectacular discoveries and significant scientific work, as well as interesting stories about the people who contributed to the organisation. The observations and experiments as well as the evidence left by the historic buildings and artefacts, all share the same objective: to observe and measure. These measurements are specifically applied to climatic and environment research. 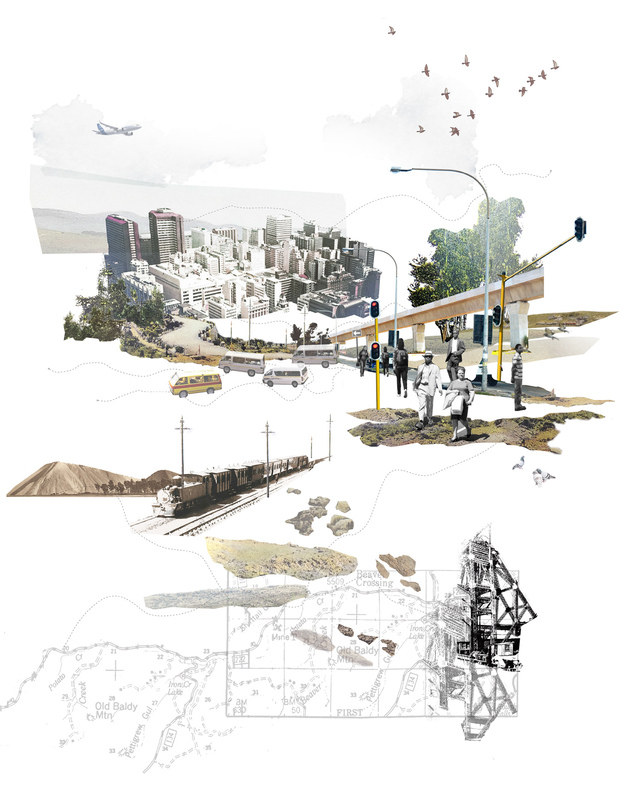 The notion of looking and analysing is translated into a toolkit to interpret the perceived views of space and place within architectural discourse and within the city, rendering the traces and narratives of society visible in the urban landscape. 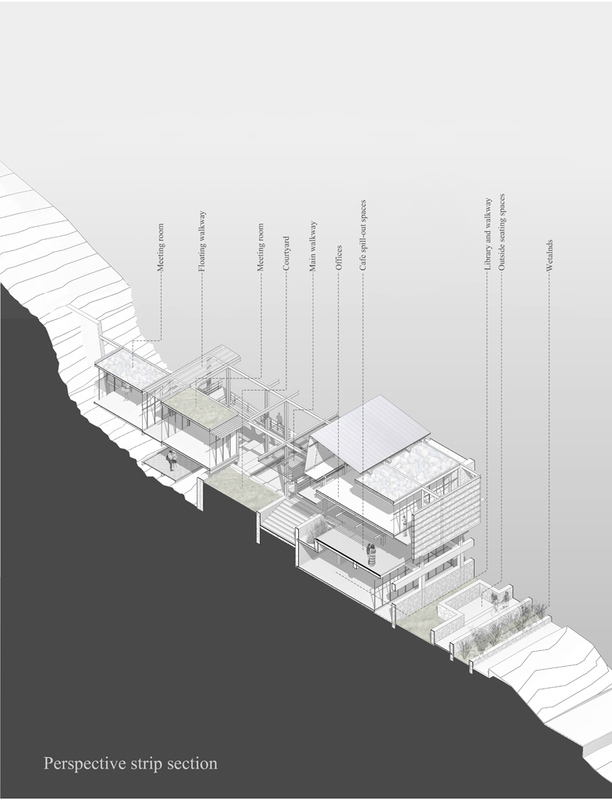 Therefore the architecture of the proposed intervention aims to read the existing layers of the site, which become a representation of the cross-section of the city. The proposed programme of an Urban Observatory becomes a device for Observation and Measurement, that reads the landscape of the city to create a better understanding of what is happening within the urban environment. This can be described as a research and interpretation centre to collect, map and measure observations, statistics, and data concerning the tangible and intangible conditions of the city. The proposed intervention will incorporate the SAASTA (South African Association of Science & Technology Awareness) educational exhibition and an amateur astronomy club and viewings. 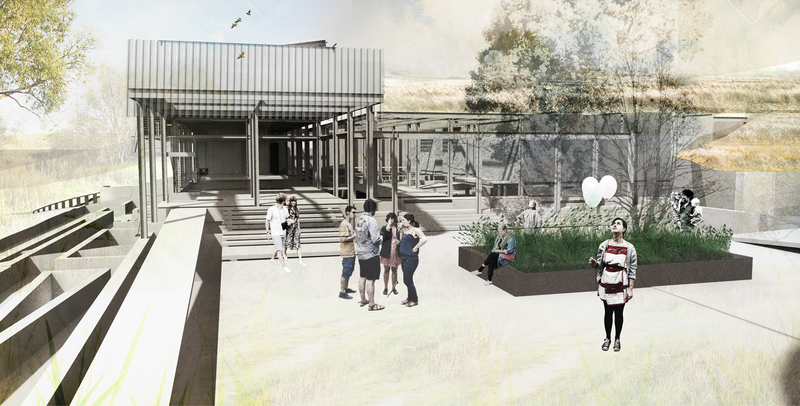 The proposed building becomes a device for Observation and Measurement, which is envisioned to firstly read and then accentuate the historical significance and ecological value of the site. This aims to rekindle a relationship between the city-dweller and the city; that could stimulate active participation and engagement, in order to improve the social, cultural and urban environments.